With Artifact, Valve is tossing its hat into the ring of digital card games based on popular game franchises. Following in the footsteps of The Elder Scrolls: Legends, Gwent, and Hearthstone, the minds behind Steam and Half-Life are making a card game out of the mechanics and lore of Dota 2, the immensely popular MOBA. The result is Artifact: The Dota Card Game, which was first announced at The International 2017 with an exceptionally brief teaser trailer and vague release date. Since then, Valve has opened the doors to the press on Artifact, demonstrating the rules and cards that make up what is bound to be the next Steam chart-topper. That means we finally know exactly what Artifact is and how it plays. Our first in-depth look at the game reveals Artifact cards, gameplay, and items, all of which have their roots in Dota 2. 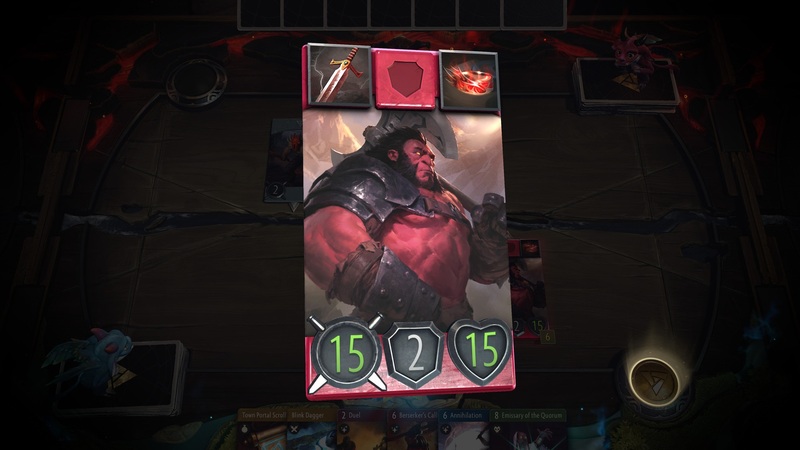 Valve has created an incredibly in-depth TCG – no surprise considering it has been designed by Richard Garfield, the mind behind Magic: The Gathering – but the MOBA elements aren’t far behind. Heroes, lanes, and minion waves are all important parts of this fascinating new card game. The Artifact release date is November 28, 2018. It will cost $20, which suggests that the game will be a final build, although who can really tell in this age of early access. That $20 purchase will get you a total of 228 cards (280 unique cards will be available at launch), though, naturally, not all of your 228 will be unique. You’ll get two base decks, each containing five heroes, nine items, and 40 additional cards. Ten booster packs will also be included, each containing 12 random cards, with every pack guaranteeing at least one rare. Further booster packs will be available for $2 each. Valve is currently testing the game in closed beta “with a mix of TCG pros and industry,” and at a recent press event declared that Artifact would see a public release in 2018. And, true to its word, November 28, 2018 is indeed in 2018. There will also be an Artifact tournament in Q1 2019, with a first prize of $1 million. If you want to play Artifact early then good news: Valve is hosting a beta for the card game. The bad news? The Artifact beta has been delayed until November 19, 2018, which could mean a delay to the final release date of the game, which is still slated for the following week. The lone Artifact: The Dota Card Game trailer clocks in at just over 30 seconds in length and reveals about as much as you would expect to with such a short runtime. The main takeaway is the Artifact release date, other than that, it has got some pretty elemental rocks in it. 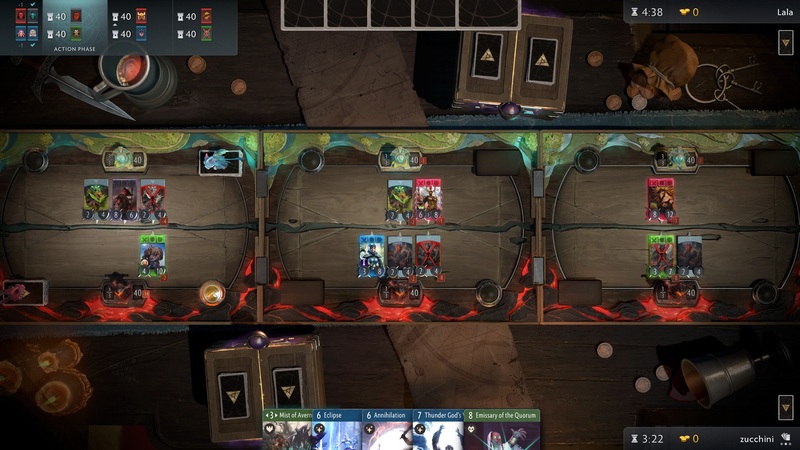 Making a digital card game that stands out is pretty tough these days, but Artifact’s gameplay definitely helps with that – it offers what is easily among the greatest strategic depth of any digital card game we’ve played, due in no small part to what it borrows from its MOBA roots. Artifact plays out as a best-of-three scenario, with all three games taking place more-or-less simultaneously. Each lane in Dota 2 is replaced by a board, and play rotates from top, to middle, to bottom, before the cycle starts up again. The aim is to win two out of three of the boards by dealing damage to the your opponent’s tower. Largely, each board is its own battlefield, but certain effects, particularly those attached to cards from the ‘Black’ suit, allow for interaction between boards. A player ‘wins’ a board if the opposing tower is reaches 0 health (from a starting point at 40) but that doesn’t put a tower out of action. Losing a board will expose your Ancient, which starts with 80 health, and if that falls then your opponent wins the match outright. Combat happens automatically, with heroes and minions attacking either the enemy directly in front, diagonally left, or diagonally right, on a randomly-determined basis. If there’s nothing in front of a card, it will attack the enemy tower directly. If a creep is destroyed, it’ll be shuffled directly out of play, to be replaced by more creeps later on. If a hero is destroyed it’ll ‘respawn’ after a delay of one turn. Valve has created hundreds of cards for Artifact showing that it wants Dota to have the most dynamic and best card game debut it can, apart from the one card that had accidental racist connotations. To see what they do, and how they work, check out our Artifact cards list where we have a look at a handful of the cards we saw in our hands-on time with the game. Aside from battling online players with your own deck in Constructed mode, Artifact offers you a selection of Gauntlets – including Draft and Sealed – which are modes of play that require entry fees and offer potential rewards for playing well. Event Tickets come in packs of five for $4.95, and you’ll get a first five as a bonus with a base Artifact purchase. One ticket will get you into Expert Constructed, where you battle online with a pre-built deck, or Phantom Draft, where you build a deck from cards out of a series of packs. Either way, you’re aiming for five wins before suffering two losses in order to get the best prizes. Three wins will get you one ticket, four wins will get you a ticket and one card pack, and the full five wins will get you a ticket and two card packs. Those aren’t cumulative, so you’ll just get the top reward for however many wins you manage to achieve. In Keeper Draft, the rules are basically the same as Phantom Draft, except you get to keep the cards you pick. That means it’s more expensive than the other Gauntlets, with an entry fee of two tickets and five card packs, but the rewards are better too. Three wins get you two tickets and a pack, four wins grant two tickets and two packs, and five wins naturally pay out two tickets and three packs. These paid modes are just a slice of the content detailed in the new ArtiFAQ, part of what Valve calls its ‘expert’ category. Social play lets you join in user-made tournaments and private lobbies, or open play among friends and Steam communities. Casual play gets you into bot matches, matchmake with constructed decks online, or enter into free constructed Gauntlets. Valve says it is adding to new casual draft modes, Call To Arms Phantom Draft, which can be found in user-created tournaments, and a new Casual Phantom Draft gauntlet to Casual Play. Bot matches offer one especially notable feature: you can build your opponent’s deck using any card in the game, whether you own it or not. That means you’re not limited to your own cards when it comes to working out your strategies here. According to a tweet from Geoff Keighley, there are 280 Artifact cards in total, with 44 heroes. Some of those, such as Sorla Khan, have been developed specifically for Artifact and will make their way to Dota 2 at some point in the future. Hero cards are split into four suits: red, black, blue, and green. Red Artifact cards are primarily bruisers, like Axe, which act as hard-hitting meat shields. Black cards are more assassin-like in nature, able to deal damage to boards other than their own, without taking too much punishment in return. Blue cards are most similar to mages, with characters such as Zeus and Crystal Maiden filling in, with a high propensity to scale into the late game. Green cards are often utility or support focused, offering buffs and health regeneration. Players will build their decks from their choice of two suits, and can have five heroes in their deck. Each hero suit comes with its own spells, which can only be played on a board with a hero of a corresponding colour. That means that if you have Zeus, a blue hero, on a particular board, you’ll be able to play blue cards in that area of the game. If you don’t have a hero card of a specific colour on a board, however, you won’t be able to play a spell of that colour. Some spells, particularly those relevant to black hero cards, are ‘cross-board’, meaning they can be applied to other boards. The spell system means making sure you’ve got the right heroes in the right place is an important part of a winning Artifact strategy – you might be holding a game-winning spell, but the character you need to play it is on a different board. Each hero card comes with three item slots – one for a weapon, one for armour, and one for bonus health. Most cards also come with an extra ability, although some (Axe, for example) rely solely on their high stats. Items are bought at the end of every third turn with gold earned from killing heroes and creeps – five for the former, one for the latter – before the game rotates back to the top lane, and are held in your hand, along with spells. Hero cards rotate through your deck, with a one-turn delay before respawn. When they respawn, you can choose where to play them depending on the state of each board. Creeps will be played randomly, and where they’ll land is displayed to both you and your opponent. Artifact will not have a single-player campaign, outside of a brief AI tutorial. While the game will offer a deeper exploration into Dota 2 lore, that won’t come in the form of a story-driven campaign, but rather in unique interactions between cards. There will also be an Artifact comic launching alongside the game, which Valve say will “transform the world of Dota forever”. So, while there won’t be much in the way of single-player narrative you can expect a hefty expansion of the Dota lore. 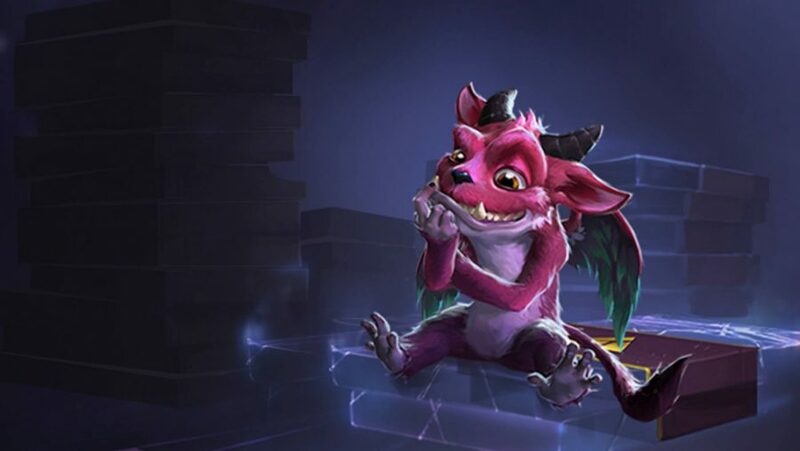 When Artifact: The Dota Card Game was first announced, the prevailing consensus was that Valve was trying to replicate the success of Hearthstone. However, Day9 referred to the forthcoming Dota card game as a trading card game (TCG), not a collectible card game (CCG). Valve has announced that, while Artifact will not be free-to-play, it will also not be pay-to-win. 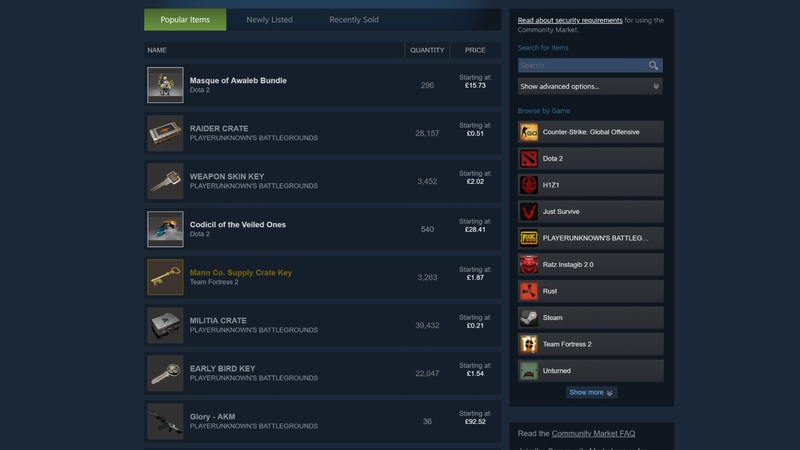 Instead, cards will be available to trade in the Steam marketplace, and “bargain hunting” will be an important part of the game. Unlike in Hearthstone, where cards rotate out of use at the end of every competitive year, Artifact cards will never become defunct, as Valve wants to reward player investment, by emphasising development of skills like deck building and theory crafting over an ability to spend more. Pricing of card packs has been a particularly thorny issue since the release of the Artifact beta, with many fans surprised that there is no way to earn cards without paying for them. Currently, card packs cost roughly $2 and the only other way to earn card packs is via expert draft mode, which also costs money as you have to buy tickets, which are $1 each. Valve has said they will implement a way for players to recycle their duplicate starter heroes so they can craft tickets for, which isn’t quite free, but does bolster your options a little when in comes to picking up new card packs. For now at least, Artifact will not offer Workshop support, although Valve didn’t rule it out as a possibility in the future. While it won’t be a feature at launch, Workshop support may eventually be something that illustrators particularly enjoy – although, given that Valve’s community items tend to be exclusively cosmetic, it’s unlikely that Artifact Workshop support will ever go beyond new card art. What Valve is allowing, however, is for players to create community tools such as online deck builders. It recently released two APIs: one that’ll pull in images and text for newly released cards, and one that lets you generate deck codes that can be copied into the client. This will allow people with the skills to create Artifact deck building websites that let you generate a deck and then copy it straight into the game. It will encourage players to share deck ideas and theorycraft together. You could easily browse top decks and move the one of your choosing right into Artifact.